Water Conditioner models feature state of the art Fleck control valves. The # 1 home water conditioner valve on the market today. Every component we use is the very best in quality and workmanship. We never skimp or use after market parts or items. Only the best! Water conditioners, carbon filters, turbidity conditioners, acid neutralizers all found here!! Great for the skin in the showers. 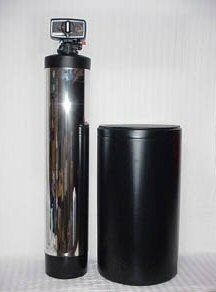 Carbon filter is great for city water removal of chlorine, dirt, smells, tastes, arsenic and other unwanted chemicals. A great addition for chlorinated well water with low flow rates as well. Keeps acid water from eating up your pipes. Saves money spent needlessly replacing hot water heaters over and over. This acid water filter protects pipes and plumbing by adjusting water with low pH readings. Makes other water treatment equipment components last for many more years. Water treatment systems listed on this page combine water softeners with water conditioners for a complete home conditioning and purification system that saves you money for volume buying. Whether you have city water or well water one of these treatment systems is sure to be right for you. Feel free to swap units of the same price around to meet your particular needs. Add a 4 stage 50 Gallon per day reverse osmosis (RO) drinking water system to any system below for only $179 more. The best value on the internet. It is not cheap equipment like some low priced sites. It is the highest quality PREMIUM equipment at the lowest prices.